Magnificent! 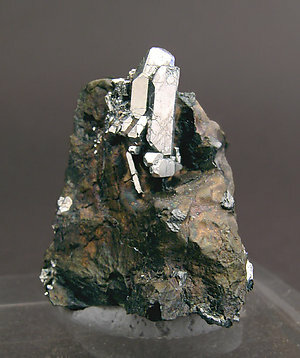 Extremely rare crystals of this scarce natural alloy of Palladium, Tin and Copper. The little crystals are on the backside of an elongated crystal of Sperrylite, very well defined and bright and enhanced by the metallic matrix.